Around 10:00 Saturday morning, Holyrood RCMP received a report of an aggressive driver who had nearly lost control of the vehicle on the Trans-Canada Highway near Foxtrap. RCMP Traffic Services located the described vehicle on the TCH near Salmonier Line traveling at a speed of 156 kms/hr. 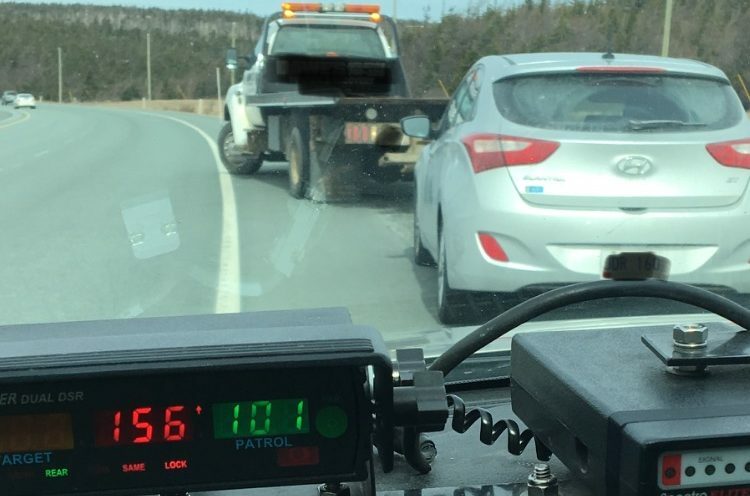 A traffic stop was conducted and the driver, a 23-year-old man from Clarke’s Beach, was issued a ticket for speeding more than 51 km/hr over the posted speed limit. Police seized and impounded his vehicle and suspended his licence.